OH MY GOSH THE HOLIDAYS. I hope everybody else has been as binge-y as I have. Parties and cocktails and cookies and decadent meals and a general feeling of “oh why not! time to be festive” means that I’ve been feeling like the nutritional equivalent of a deep fryer. I’m going to prescribe myself a good salad. This recipe, like many I love, comes from Real Simple… which I just found out I received as a subscription for Christmas! No more purloining from the break room! No more tearing out pages surreptitiously at dentists’ offices! 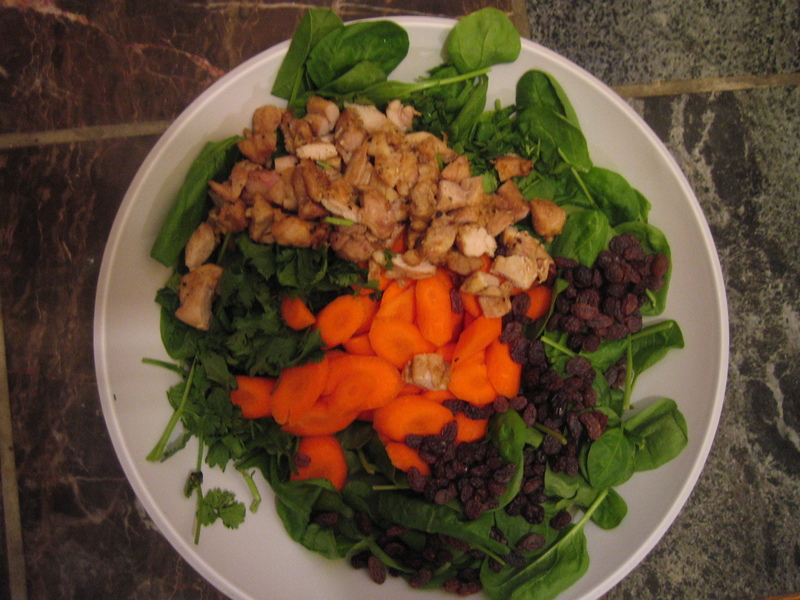 I will have healthy weeknight meals and accessible lifestyle tips every month! Until my subscription arrives, though, let’s be satisfied with this deliciously healthy/healthily delicious alternative (or addition!) to baked Brie. Oh, and happy holidays from Another Freaking Cooking Blog!